Add Instagram to Your Marketing Strategy, Here’s Why? 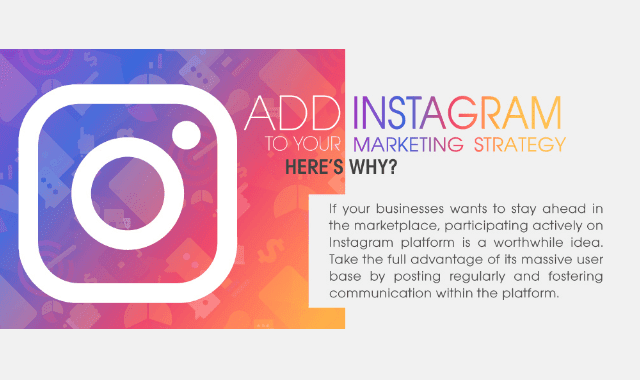 #Infographic ~ Visualistan '+g+"
If your businesses wants to stay ahead in the marketplace, participating actively on Instagram platform is a worthwhile idea. Take the full advantage of its massive user base by posting regularly and fostering communication within the platform.